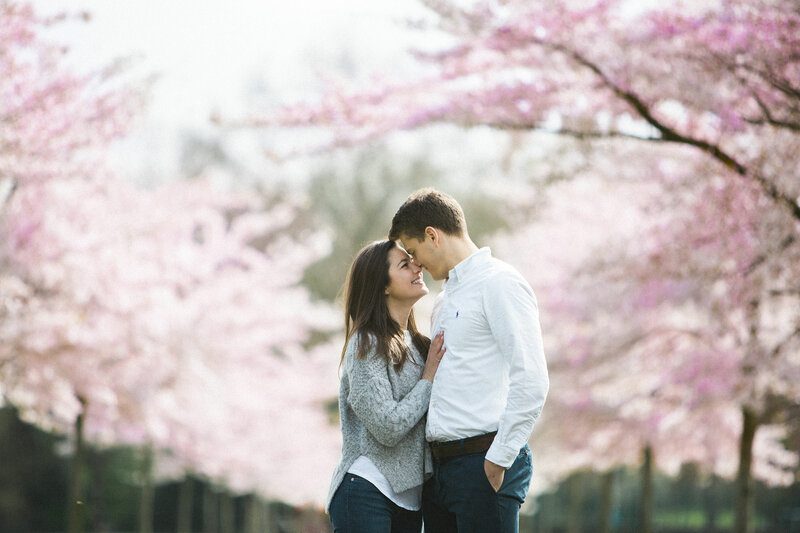 Battersea Park Engagement Shoot - Incredible Blossom! 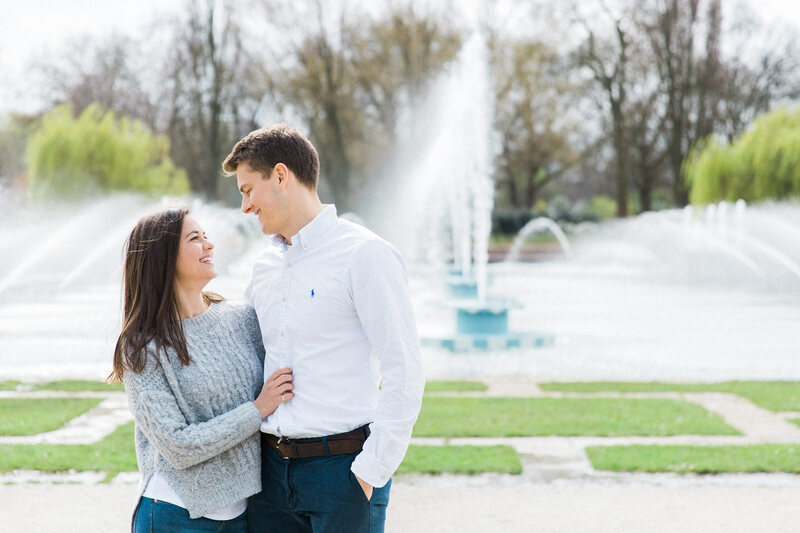 It was Justin’s mum who first contacted me about this Battersea Park Engagement Shoot. 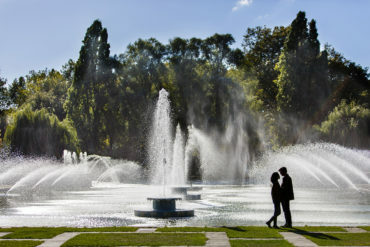 Justin was going to pop the question in London! 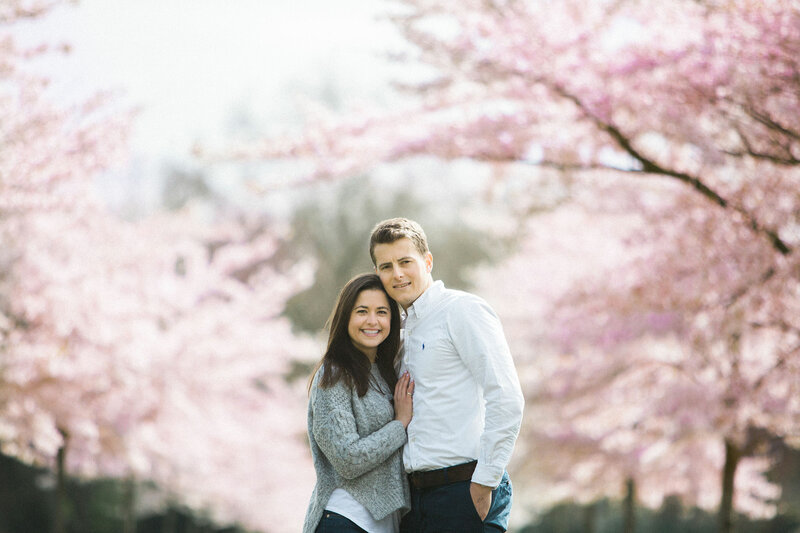 The couple have lived in London for the last 3 years but are originally from much sunnier shores – Bermuda. 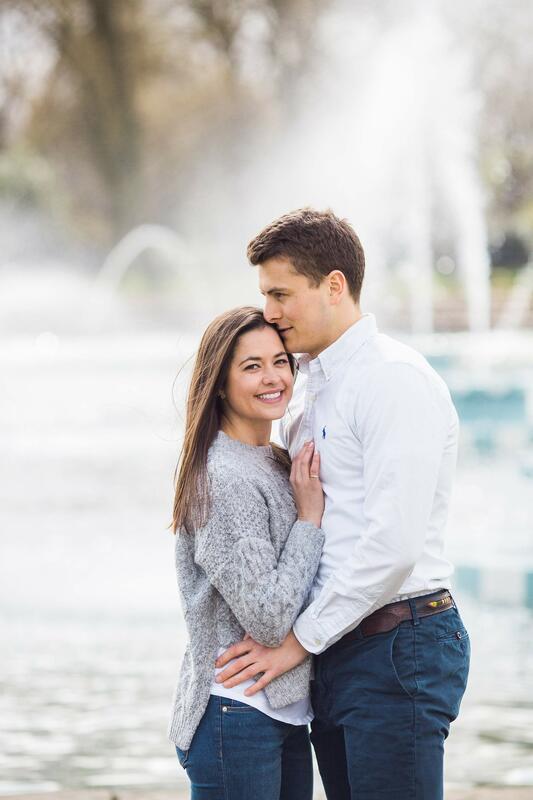 The date was set – all we needed was Sophia to say yes! 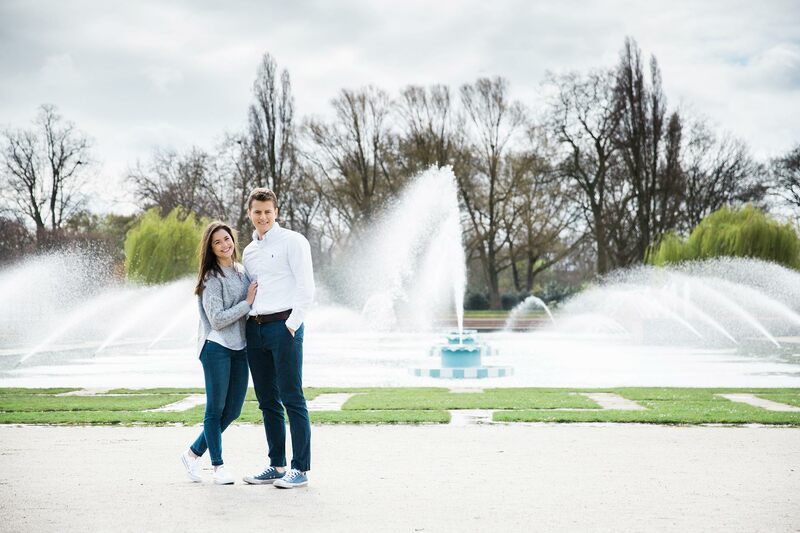 Of course she did and we decided on Battersea Park for their engagement pictures. 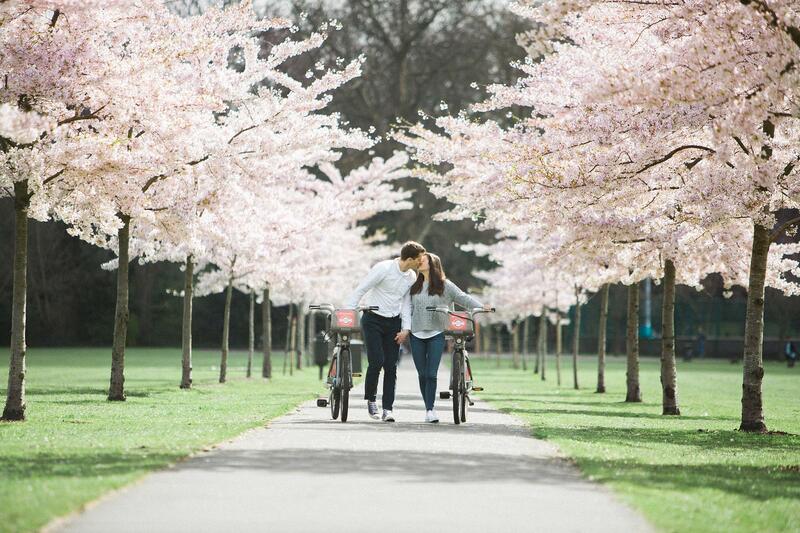 I love Battersea Park so much. 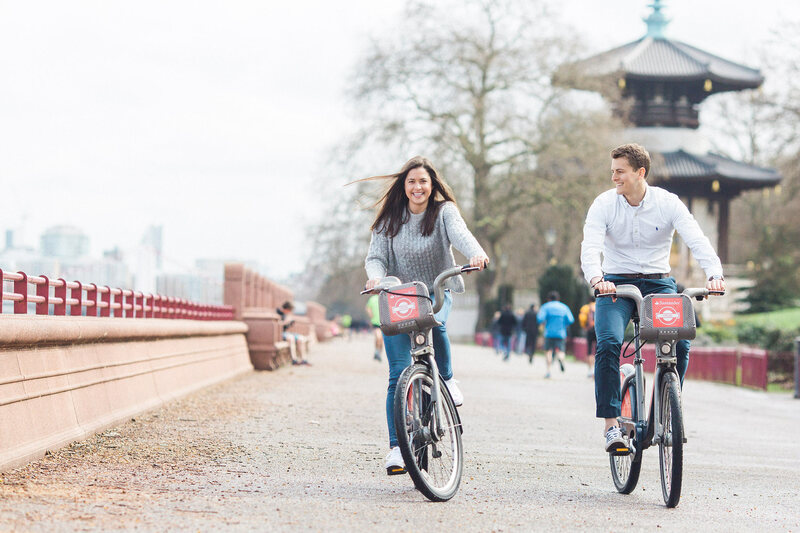 It’s lesser known than some of the royal parks – Hyde Park, Regents Park or St James’s Park. 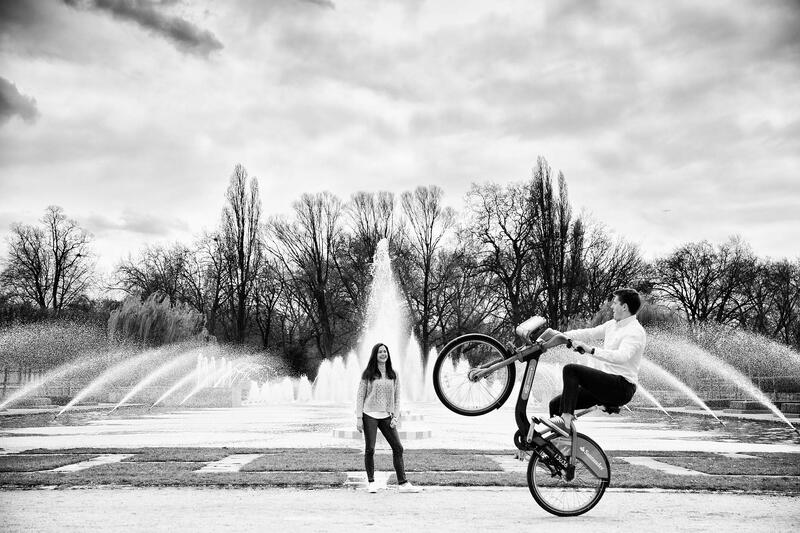 But it has a few key advantages, you do not need a license to shoot there. 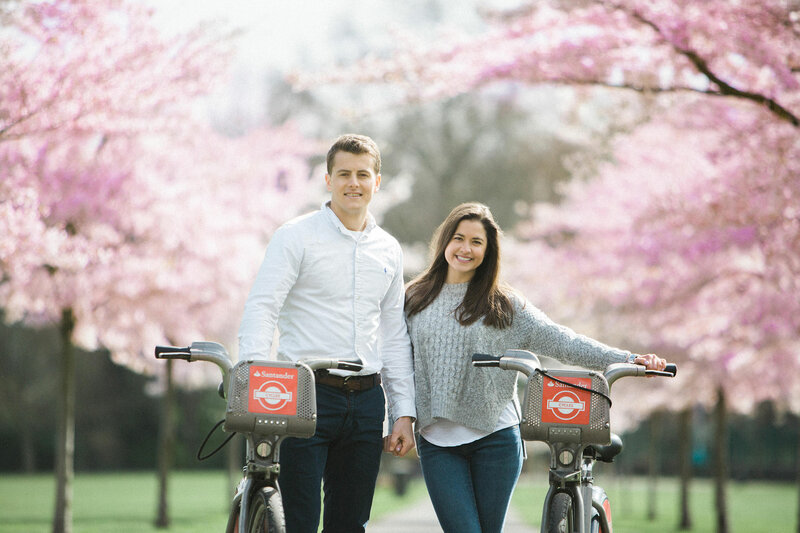 This is becoming so common in London. It’s much, much harder for someone like me to take pictures in the capital. 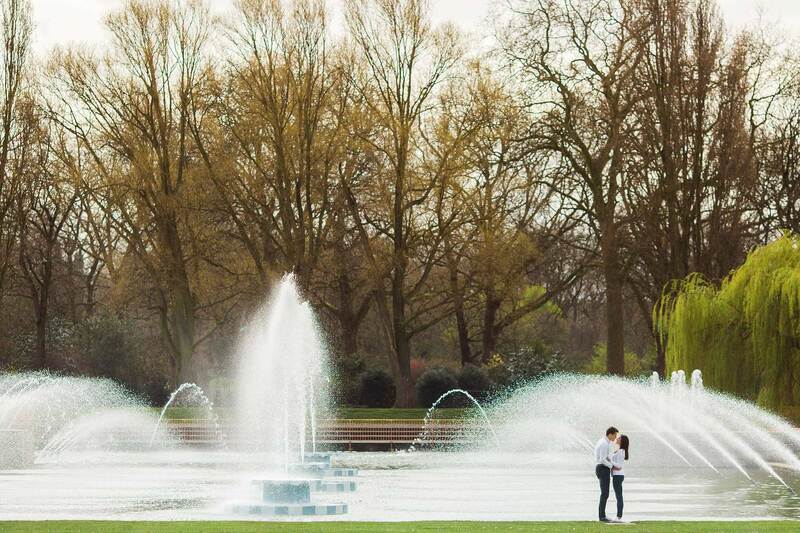 Battersea is perfect for taking pictures. 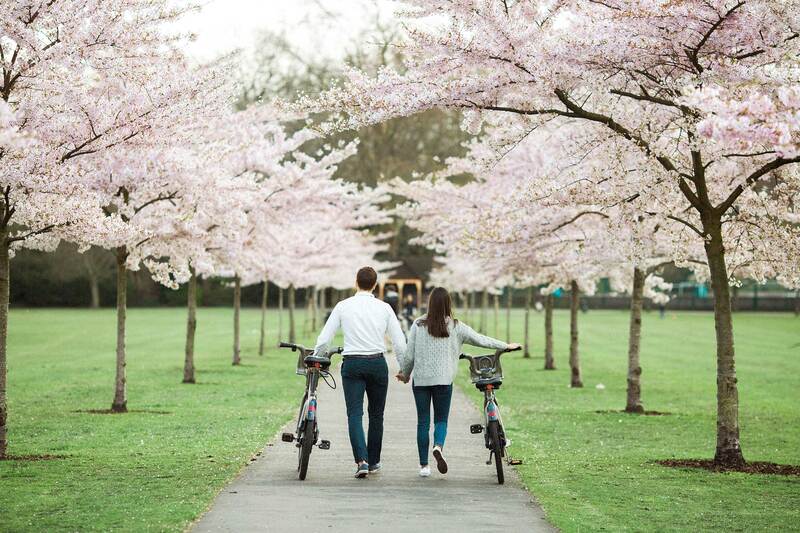 The stunning florals, the amazing fountains and a this time of year – the incredible cherry blossoms. 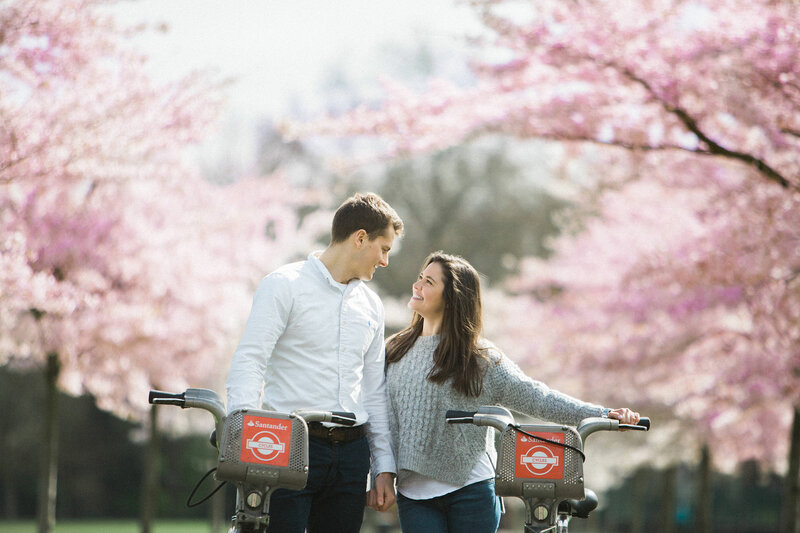 See more of my London Engagement Photos here. 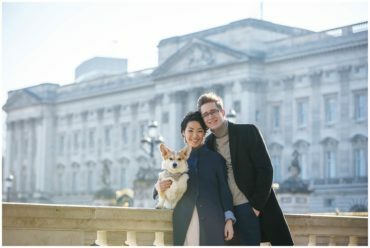 I met Justin and Sophia on Albert Bridge and we strolled through the park. 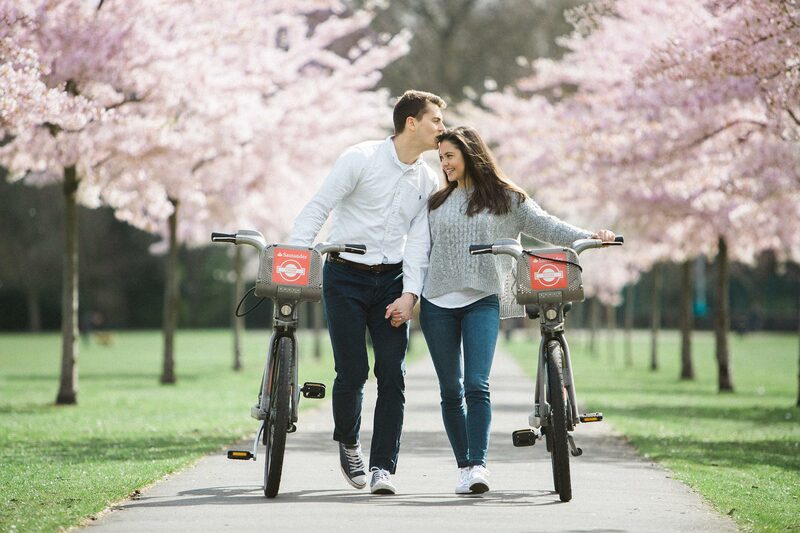 The couple loved using the Boris bikes that are so popular in London, so I tried to incorporate them into the shoot. I knew it was going to be a brilliant day when Sophia told me she didn’t want anything too cheesy, just relaxed natural pictures. 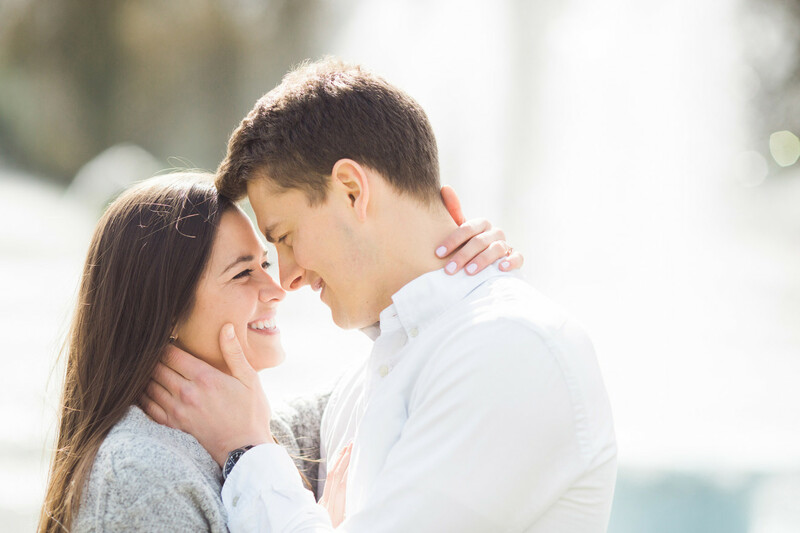 I choose minimal direction when I shoot – so the pictures are about the two of you and not about me. 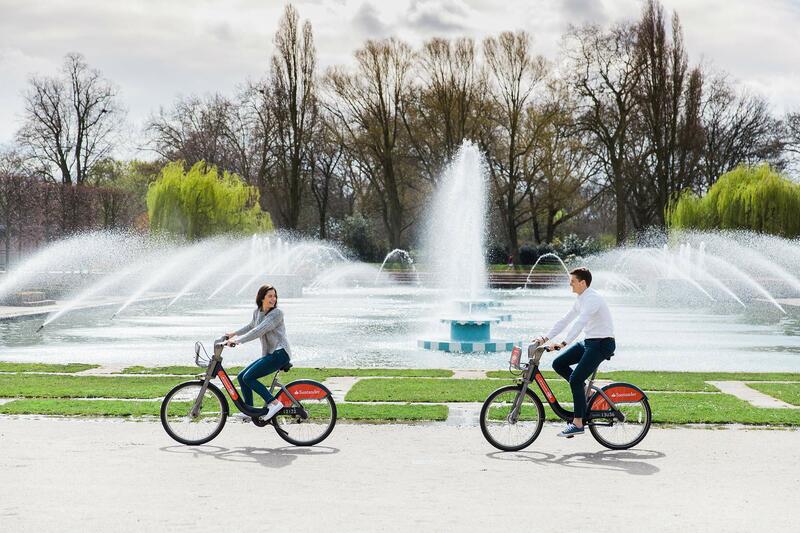 Strolling through the park with the bikes and stopping at good locations to make pictures was the perfect way to spend a couple of hours. 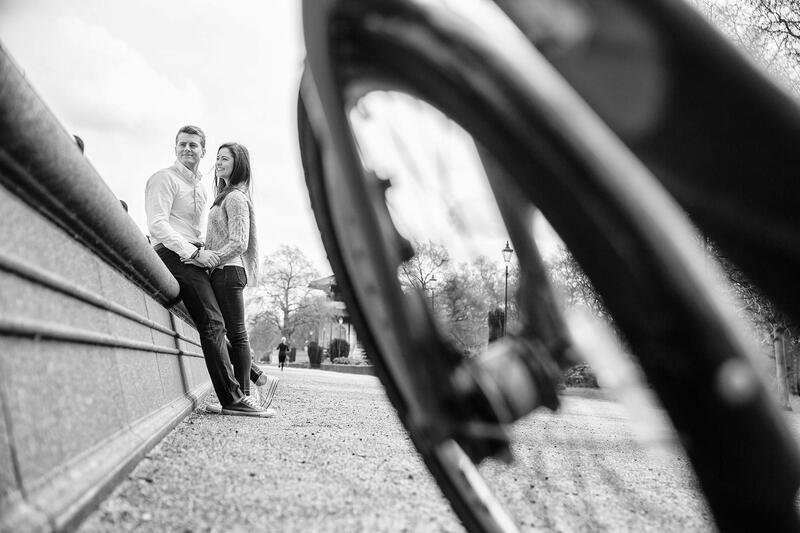 “Kerry was an absolute pleasure to work with, she was relaxed but totally professional. She allowed us to be ourselves only offering gentle guidance. 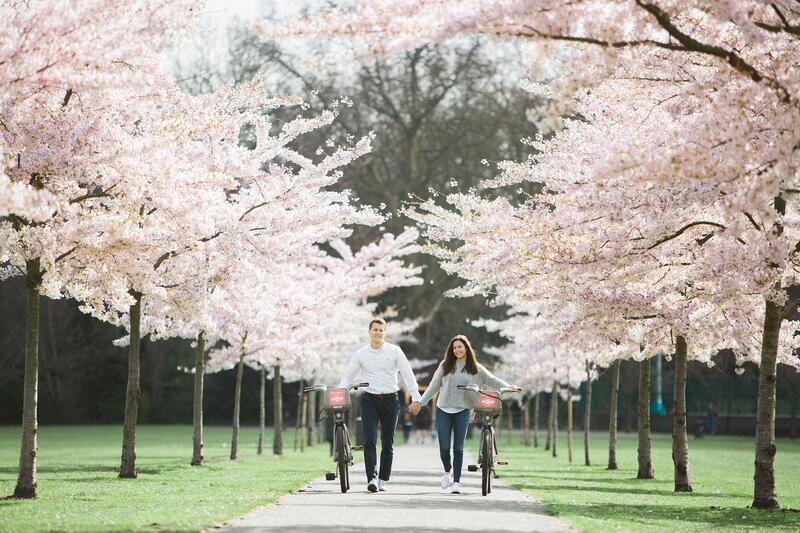 I loved using the amazing cherry blossom for their London engagement pictures. Congratulations you too! 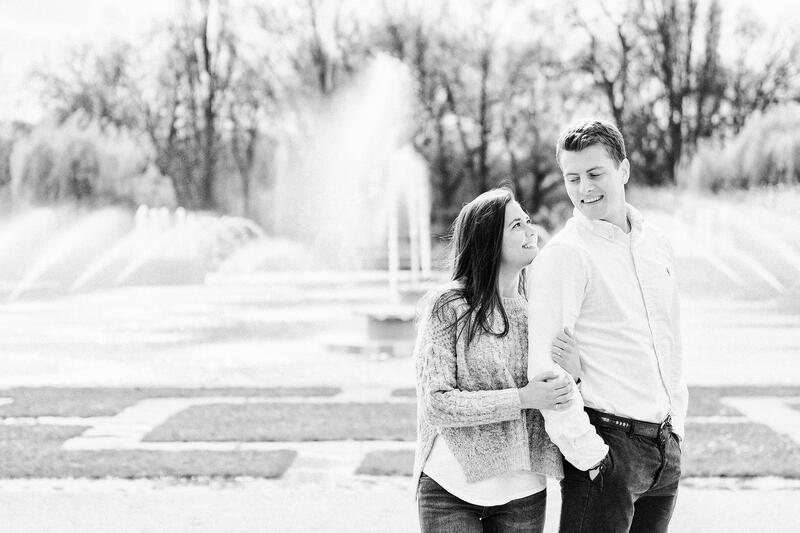 Happy wedding planning. 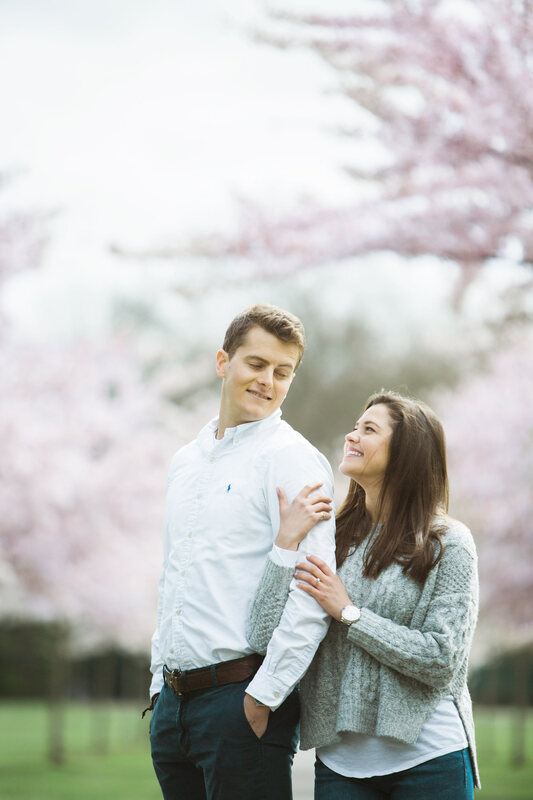 Love this shoot. Great job!